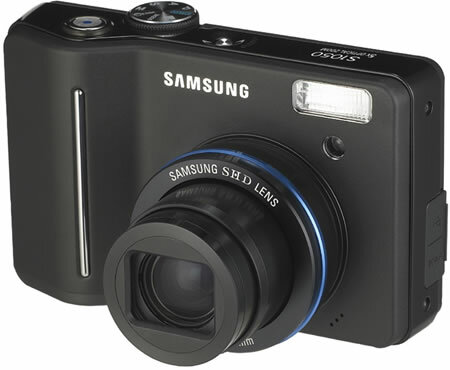 Samsung has announced the S1050 ?a point-and-shoot digital camera with a premium quality 10.1 mega-pixel image sensor.? A super sharp 5x optical zoom lens, Intelligent Face Recognition Technology and ASR (Advanced Shake Reduction) system are featured in this camera. Intelligent Face Recognition Technology detects the subject?s face and automatically adjusts auto focus and auto exposure to ensure better picture quality. The S1050?s speed and resolution allows you to take fast action photos with great finesse. The ASR system helps to reduce camera shake and image blur. Talk about convinience the Samsung S1050 can be powered by an optional Samsung rechargeable Ni-MH battery system, as well as available-everywhere AA alkaline batteries. It has 45 megabytes of internal memory, and can accept Secure Digital (SD, MML, SDHC) flash memory cards up to 4 gigabytes. 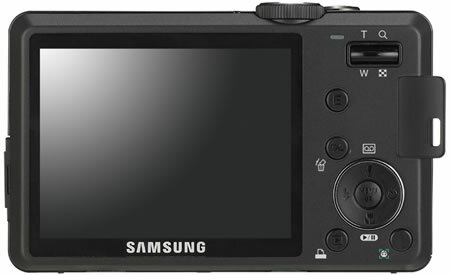 Other specs include Shutter speeds of up to 1/2000 sec, an ISO equivalent of 1600 and a 3.0 inch display . It can record video in four resolution from 160×128 to 800×600, at up to 20 frames per second in AVI (MPEG-4) format. Pricing and availability of the Samsung S1050 is not known yet. What is a Lichtenberg Figure ?